On Tuesday, January 24th, I did an interview with Downtown Houston Magazine. The article will be in the Spring 2012 edition. We spoke about my performance in Ars Lyrica’s “La Resurrezione” as well as my upcoming March 9th performance as “Cleofas” in Handel’s “Resurrection.” I will be performing with Matthew Dirst and Ars Lyrica!! I cannot wait!! If you are in Houston in March, I would love for you to join me on the 9th, at 7:30, at the Hobby Center. Well, the lovely Anna Bland has done it again!! 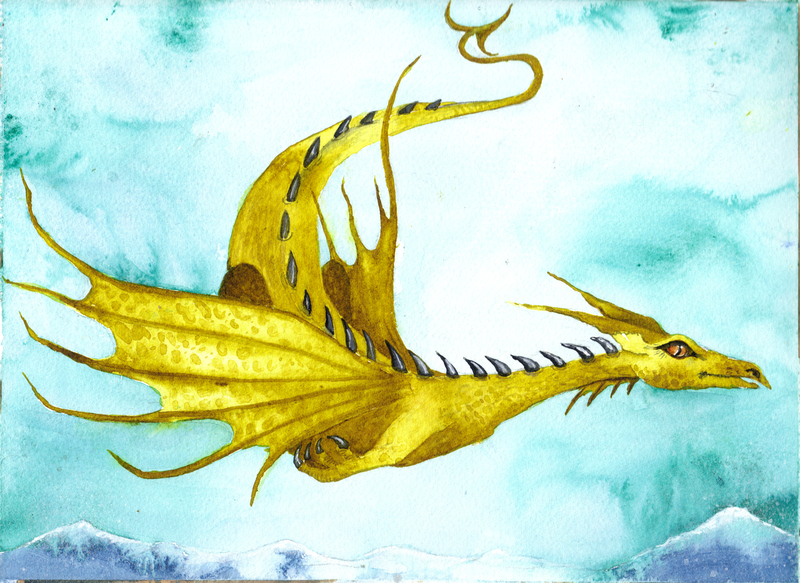 Here is the forth and final dragon picture Anna has painted for me. Not sure which of the four is my favorite – I love them all!! You are currently browsing the Ryland Angel blog archives for January, 2012.